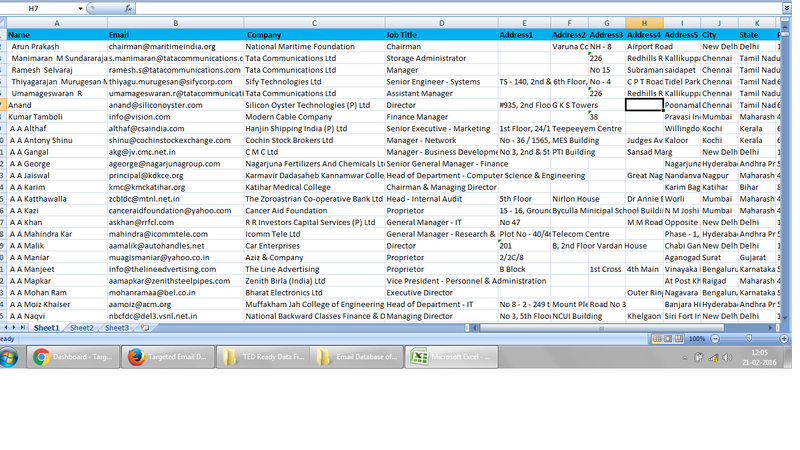 Email Database of HNIs is an Email Id List of People with Very High Income (High Net worth Individuals)or Assets. Details: Email Database of HNIs is an Email Id List of People with Very High Income (High Net worth Individuals)or Assets. 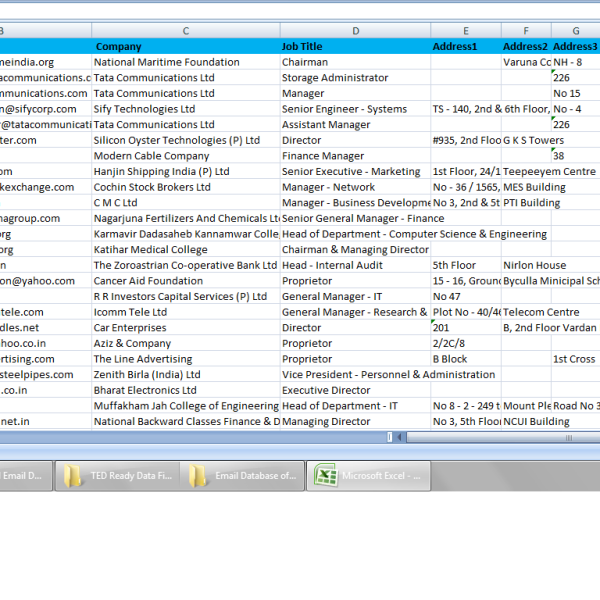 Fields Mentioned: Person Name, Email id, Professions, Designation , Income, Age, Company Name, Qualification, Address, Location etc (Check Samples for details). Usage: Extremely useful for Selling & Marketing of Luxury & High End Products or Services(like Real Estate, Travel, Investment, Financial, Cars etc) where Target Audience is of Very High Buying Capacity or Income. Quantity: 13 lack 56 thousand records. the quantity is so high that even little conversion ratio gives good number of customers..
get 5 or 6 new customers every month from this data for our high end real estate service of premium flats..